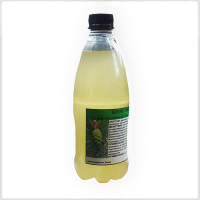 Brews Treatment Disease Prevention at the home Brew Bolotov Enzymes buy store of traditional medicine. Contraindications Advice on the application. Low prices. Fast shipping. The brew - what it is. According to doctors, the healing properties of brew - is the amount of great effects on the body, and yeast, and amino acids (brew 8 essential amino acids! ), and minerals, and vitamins, and organic acids, especially, dairy and carbohydrates, and of various valuable enzymes, which are part of the brew. Yeast is a fantastic brew. B vitamins supply our body with yeast. And thanks to these vitamins, the brew is fighting our fatigue, irritability, depression, makes our hair healthy and shiny, and nails strong and beautiful. Yeast contain vitamin PP, therefore, the brew gives us a good appetite and youthful healthy skin. There are yeast and organic acids. This brew they help keep our digestive tract in good condition, cleaning it and destroying pathogenic putrefactive bacteria. That they help to retain moisture in our body - that's why the brew is amazingly thirst quenching. Also, acids promote the decomposition and excretion of dead and diseased cells. Yeasts have long treated a variety of illnesses: infectious and inflammatory disorders, and diabetes, dermatitis, colitis, eye diseases, nervous disorders. Yeast was used with stunted growth in children, and at insufficiency of milk in nursing mothers. Still do not fully understand why yeast is so amazing effect on human body, but the main hypothesis is that proteins of yeast, so rich in amino acids, much better than the meat proteins, are digested by our body - 80-90%. But in yeast there is a substance - a purine base that inhibit uric acid excretion from the body, which can lead to inflammatory processes in the joints. The famous scientist Boris Bolotov, famous for his studies of therapeutic effects on the body various Brews, recommends sure to add in homemade kvass herbs, or sour cream, or whey, thereby increasing the number of lactic acid bacteria. And these bacteria are thoroughly clean our body. The following is as an amazing component of the traditional Russian drink - malt, the basis for which are sprouted grains of wheat, barley, rye, oats, buckwheat, etc. Malt contains vitamin E, therefore, the brew that can rejuvenate and strengthen the heart and blood vessels. The brew delivers the human body a variety of beneficial bacteria and works the same as all dairy products: it normalizes metabolism and the gastro-intestinal tract, inhibits the growth of harmful bacteria, inhibiting pathogenic microflora of the stomach and intestines due to lactic acid bacteria. In addition, brew strengthens the heart and blood vessels, improves the immune system. Brew has antibacterial properties, sure the doctors. Scientist V. Sotnikov a hundred years ago proved that in brew even killing typhoid bacteria. Useful properties of brew are in the process of maceration and fermentation. The chemical composition of the brew. enzymes and other metabolic products of microorganisms: 0,2-0,6% lactic acid, about 0,3 - 1,5% alcohol, about 0,1-0,4% of mineral substances, 0,03-0,4% carbon dioxide. Any grains have phytic acid, which binds phosphorus. In the gut this acid combines with calcium, magnesium, copper, iron or zinc, preventing their absorption. And brew it is destroyed through the work of enzymes (plant enzymes), lactic acid bacteria and other microorganisms! There are in whole grains substances (inhibitors) that prevent the formation of enzymes. 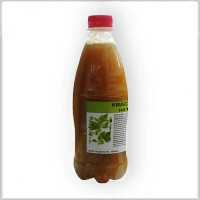 In the process of making kvass (in the pouring of grains of water) inhibitors dissolved in the brew creating new enzymes, which in turn leads to additional formation of vitamins, especially group B. From macronutrients to brew the most contains calcium, potassium, phosphorus, sulfur. And all it consists of 7 macro elements and 17 trace elements: iron, zinc, iodine, copper, manganese, molybdenum, boron, silicon and others. Bolotov Brew enzyme extract of plants. One of the most astounding discoveries of Boris Bolotov is a Rule that allows a person to support your body on one an optimal level, regardless of conditions and even - in extreme situations. One of these rules refers to the use of enzyme extracts from different plants that are called Brew Bolotov. The most known of such a hood today is Brew Bolotov on Celandine, which is widely used for the treatment and doctors and healers. What is enzyme and its role in the human body? All groups of enzymes have same the importance for the human body, as without their participation it impossible for any single process of life. Academician Bolotov shared by all enzymes into two classes: enzymes of animal and vegetable origin. Animal derived enzymes needed for the processing of vegetable proteins, and enzymes of vegetable and animal proteins. Plant-source enzymes enter the human organism together with food. Enzymes of plant origin, together with the enzymes that are produced by the man himself (protease, amylase, lipase) are the key to health and longevity, are enzymes, called enzymes. The digestion and assimilation of food in the body occurs only with the participation of enzymes. So, while filling your body with enzymes of vegetable origin, we thus help the process of digestion, increase vitality, strengthens the immune system and rejuvenates the body. If the body contains not enough enzymes, it works with a huge overload and not enough time to complete all of its functions. This contributes to accumulation of poisons and toxins that can cause various diseases and accelerating the development of aging. How are enzymes important to the human body? Enzymes substantially improve and stimulate the digestive process, take part in cleansing the body of toxins and stimulate the process of self-purification. Thanks to enzymes it comes to the improvement of metabolism, strengthening the body's immune system, allowing your body to independently resist infections. Also, enzymes promote cellular regeneration and enhance the process of their renewal, fill the body with energy needed for the process of life. Since the brew is always in small quantities alcohol, children up to three years to drink it is impossible, and older children are encouraged to drink no more than 2 glasses a day. Cough Angina Tonsillitis Cancer Colitis Gastrointestinal Disease Obesity prevention treatment The Bolotov's Brew on Sage properties recommendations contraindications buy shop of traditional medicine. Acne Wrinkles Pigment spots Acne treatment prevention at home by health extracts. 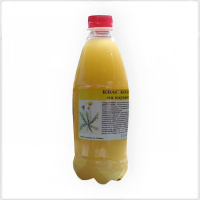 Allergy Constipation Diabetes Cancer Gastritis Anemia Cirrhosis Giardiasis Urolithiasis Atherosclerosis prevention treatment of the Bolotov's Brew on Dandelion Properties Recommendations Application buy store traditional medicine. Gout Rheumatism Eczema Inflammation of lymph nodes treatment at home by health extracts. 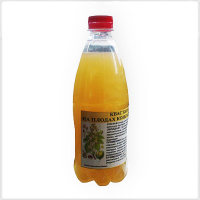 Gastritis Intestinal Infection Potency Psoriasis Eczema Skin Diseases Prostatitis Cystitis treatment prevention the Bolotov's Brew on Cocklebur properties application contraindications buy store of traditional medicine. Oncology treatment at home by extracts of health. 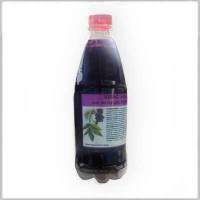 Diabetes Hepatitis Stomach Ulcer Liver Cirrhosis Constipation Colds Pneumonia Bronchitis Flu pneumonia Asthma Cystitis Prostatitis treatment prevention Bolotov's Brew on Black Elderberry properties recommendation treatment buy store of traditional medicine. Stroke Angina Arthritis Hypertension Improves Cerebral Blood Flow Bolotov's Brew on Pine Cones properties application buy at the shop of traditional medicine. Pneumonia Bronchitis treatment prevention at home by folk extracts. Varicosity Rheumatoid Arthritis Thrombophlebitis Ishias Gout Hypertension Atherosclerosis Leukemia Hemorrhoids treatment Bolotov's Brew on Chestnut properties recommendation application buy a shop of traditional medicine. Treatment of the Feet at the home by extracts of health. 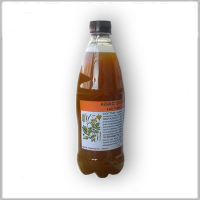 Bolotov Brew Enzyme Celandine goiter ulcer prophylaxis treatment folk remedies shop to buy traditional medicine. Treatment of liver cleansing erosion gastritis gastric bowel at home. 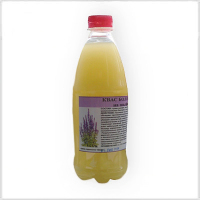 Recovery treatment of intestinal microflora folk medicines.